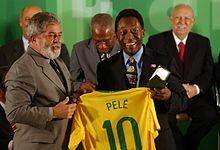 According to Pelé, indoor football presented difficult challenges; he said it was a lot quicker than football on the grass and that players were required to think faster because everyone is close to each other in the pitch. 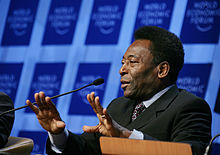 Pelé accredits indoor football for helping him think better on the spot. 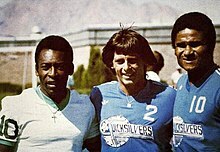 In addition, indoor football allowed him to play with adults when he was about 14 years old. 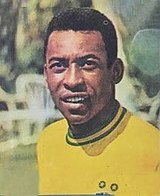 In one of the tournaments he participated, he was initially considered too young to play, but eventually went on to end up top scorer with fourteen or fifteen goals. 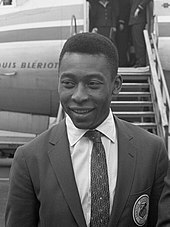 "That gave me a lot of confidence", Pelé said, "I knew then not to be afraid of whatever might come". 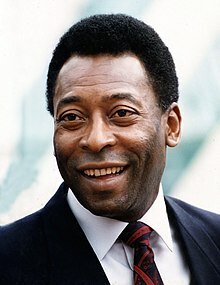 Pelé states that his most memorable goal was scored at Rua Javari stadium on a Campeonato Paulista match against São Paulo rival Clube Atlético Juventus on 2 August 1959. 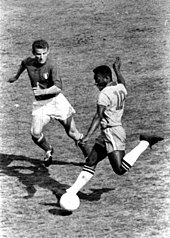 As there is no video footage of this match, Pelé asked that a computer animation be made of this specific goal. 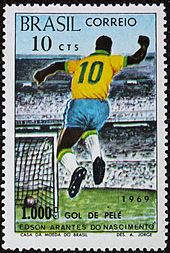 In March 1961, Pelé scored the gol de placa (goal worthy of a plaque), against Fluminense at the Maracanã. 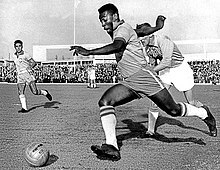 Pelé received the ball on the edge of his own penalty area, and ran the length of the field, eluding opposition players with feints, before striking the ball beyond the goalkeeper. A plaque was commissioned with a dedication to "the most beautiful goal in the history of the Maracanã".